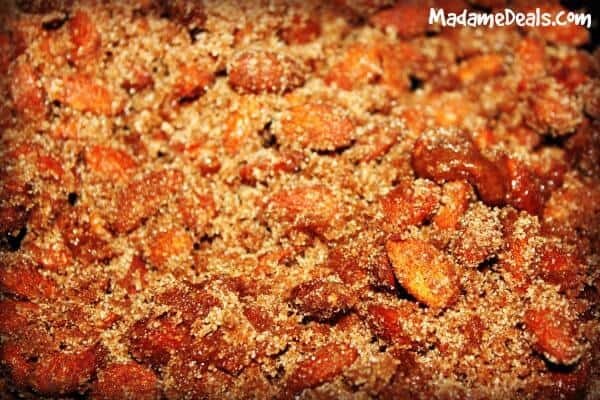 If you feel the need to stop in the mall every time you smell the scent of cinnamon roasted almonds wafting through the food court, then this Crock Pot Cinnamon Almond Recipe is for you! 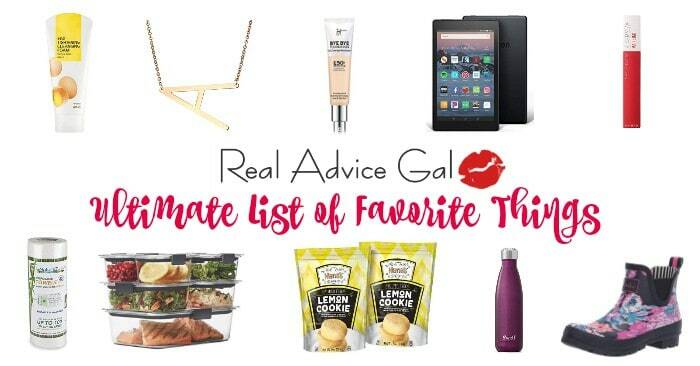 I am in love with this sweet treat, and hey almonds are good for you! Err..well maybe not coated in sugar, but, protein right!? 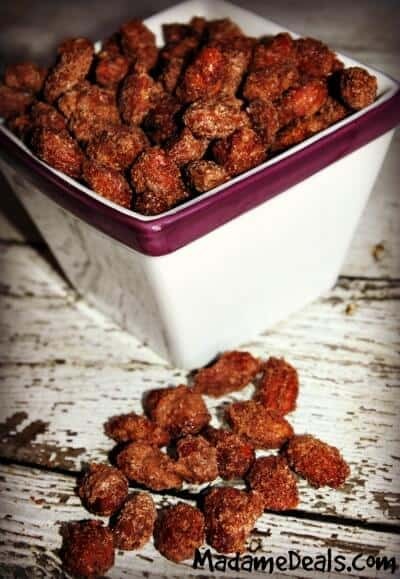 I thought there was some super secret method of cooking this sweet snack, but it was ridiculously easy to make! So I wanted to share them with you guys! So if you have about 5 minutes of prep time, and 2 hours to hang out with your crock pot, then please try this recipe, I promise you won’t be disappointed! Step 2: In a larger bowl first combine your egg white and vanilla, after it is good and mixed, pour in your almonds and toss to coat them well. 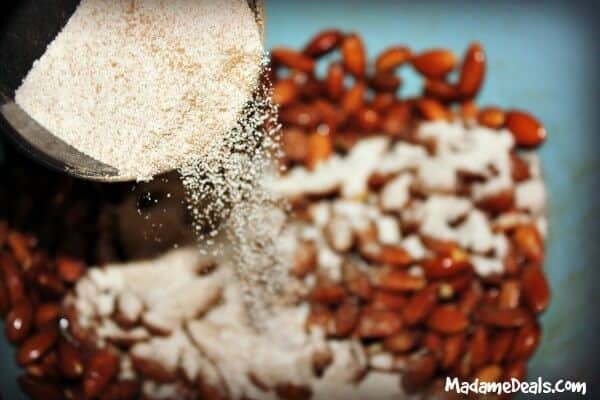 Step 3: Next, pour your sugar/cinnamon mix in with your almonds and toss to coat. 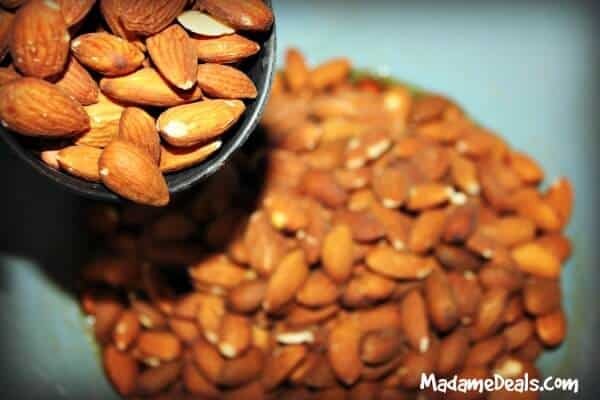 Make sure you have coated all your almonds well! 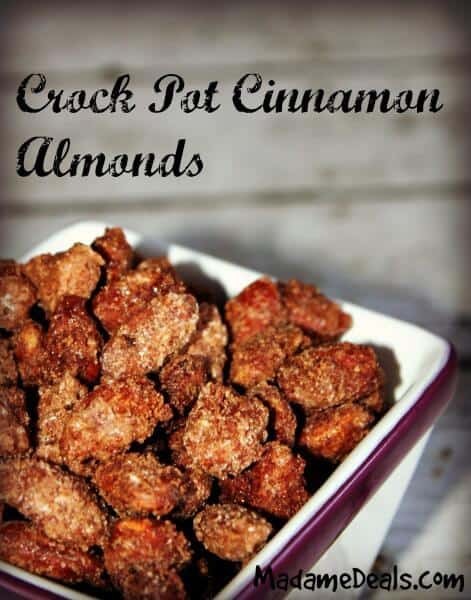 Step 4: Pour your sugary cinnamon almonds into your crock pot! Set on High and cook about 2 hours, or until the moisture is gone. 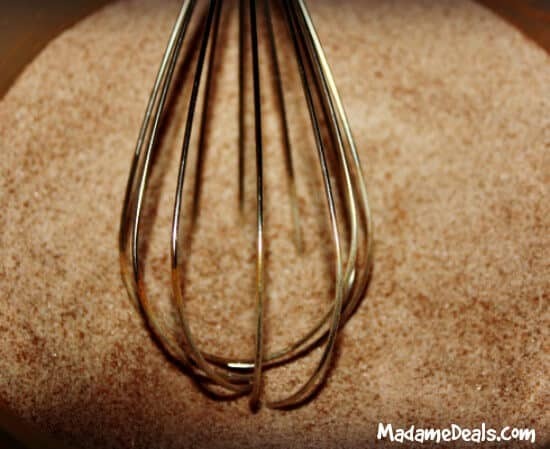 You will want to check on the almonds and stir about every 30 minutes to make sure they don’t stick to the sides. 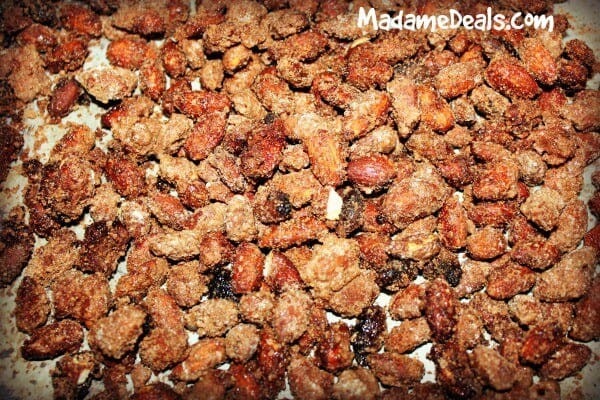 After the almonds have cooled completely seal them in a seal tight container and enjoy!